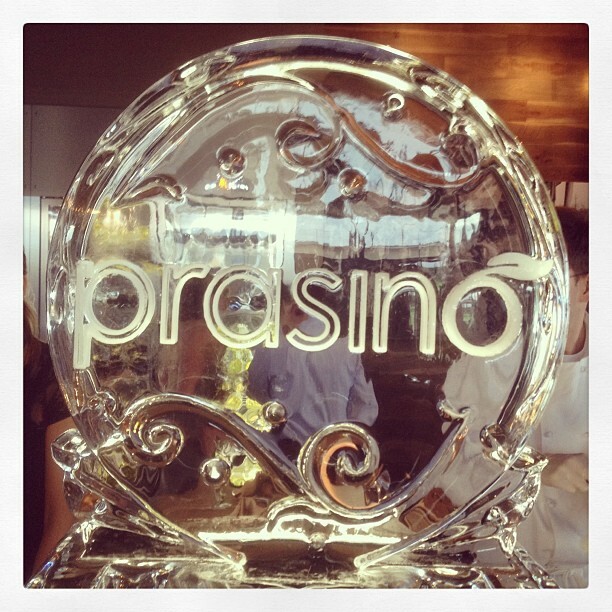 prasino restaurant in St. Charles had an opening event Thursday evening. Click HERE for the prasino/St. Charles website. Saturday, 10:00 a.m. to midnight and Sunday, 10:00 a.m. to 6:00 p.m.
On Locust, just east of the Fox. 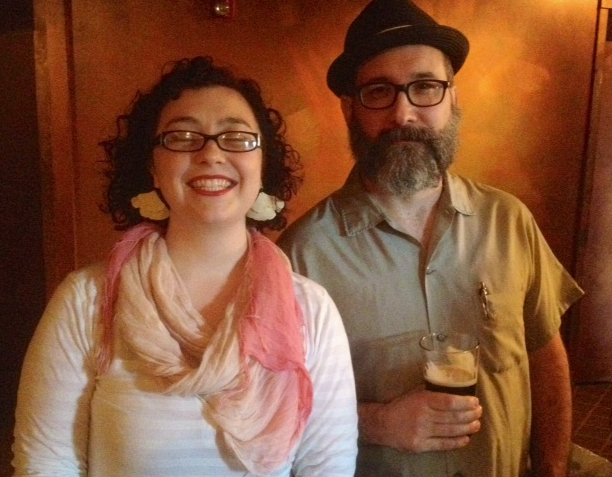 Clara Moore and Matt Sorrell Have a Book On The Way! Chef Clara Moore and food writer/cocktail consultant Matt Sorrell hosted an event Friday night (May 24) at Salt restaurant in the CWE. The party (which corresponded to the final three hours of their Kickstarter campaign) was to celebrate the successful Kickstarter effort they conducted to get their book published. The book, Shop Like a Chef: A Food Lover’s Guide to St. Louis Neighborhoods, is expected to be published in October. I spoke to Clara about the book. Click below to listen to our conversation. It runs 4:36. Ribs, Beer, Monday. Be There! Taste of Maplewood! 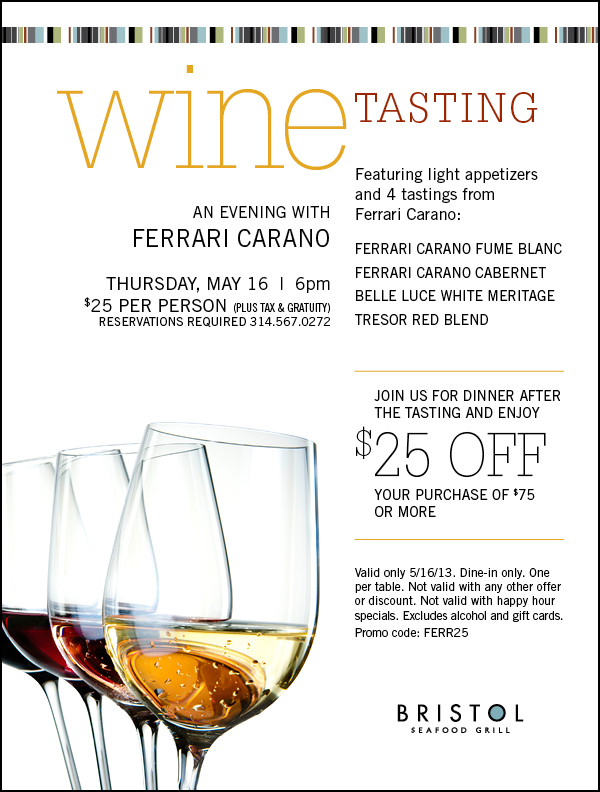 Saturday, May 18! This Saturday, the Maplewood Chamber of Commerce presents its annual Taste of Maplewood. 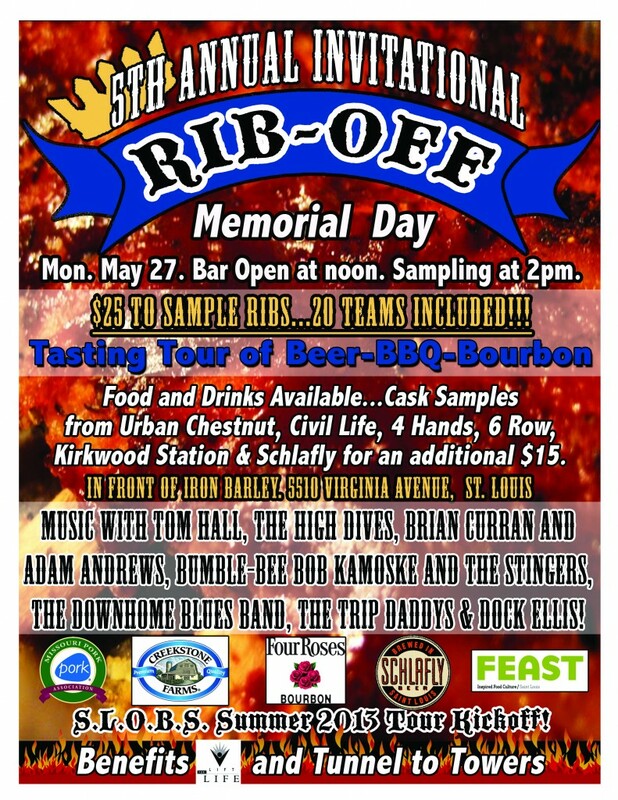 Among the folks providing food, drink and fun are: Acero, Airedale Antics, Boogaloo, The Crow’s Nest, Las Palmas, Maven, The Maya Café, Pie Oh My, Saratoga Lanes, Schlafly Bottleworks, Stellar Batik, The Post Sports Bar & Grill, Tiffany’s Diner, Turner Center, Strange Donuts, Vom Fass, and Water Street. The Taste of Maplewood runs from noon to 9:00 p.m. Saturday, on Sutton Boulevard, just south of Manchester. New this year is a competition among participants for the Best of the Taste of Maplewood! Awards will be presented in the following categories: Best Sweet Tooth, Best Unexpected Flavor, Best Cocktail and Best Taste of Maplewood. Celeb judges are Allyson Mace of Sauce Magazine, John Carney of The Big 550 KTRS and Maplewood Mayor, James White. 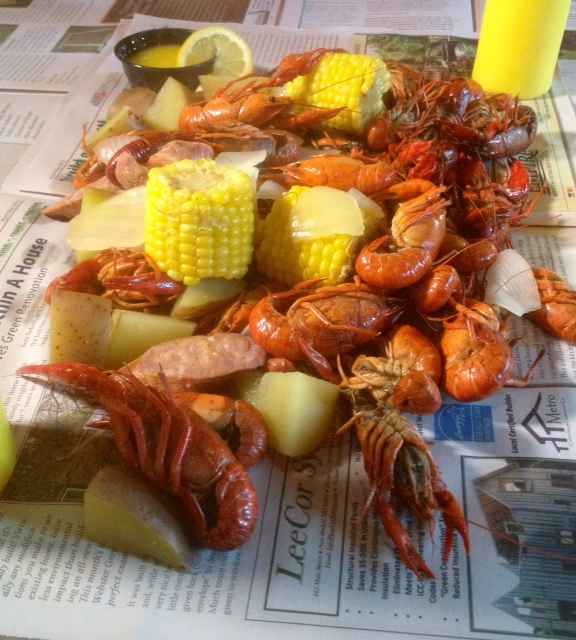 Our friends at Highway 61 Roadhouse in Webster Groves are holding their 5th annual Crawdad and Shrimp Boil on Saturday, May 11, beginning at noon. Purchase crawfish and/or shrimp by the pound, enjoy Abita beer (special prices on their craft beers from Louisiana) and live music. The Zydeco Crawdaddys play from 1:00 p.m. to 5:00 p.m. and Willie and the Poorboys are on from 9:00 p.m. to midnight. This Fais Do Do happens at 34 South Old Orchard Avenue in Webster Groves (63119).